ET Now learns that the centre may look to dole out income tax benefits in its last Union Budget. The interim budget is set to be presented by Finance Minister Arun Jaitley on February 1. The Narendra Modi led government is out to lure the middle class less than a week after the PM said that the nation needs to redefine the perception about middle class in an interview. ET Now learns that the centre may look to dole out income tax benefits in its last Union Budget that is set to be presented by Finance Minister Arun Jaitley in about three weeks. Hiking savings limit, tax benefits for pensioners and more concessions on housing loan interest are among the options being considered by the finance ministry. “In the last four budgets the we have given relief to salaried class as they are the most honest taxpayers of the country. We will do as much as we can this time too within the limitations of the interim budget,” one of the sources, who did not want to be named, said. Sources also indicate that basic customs duty rejig may also be considered, but did not give details of the items that are under consideration. The discussions are at the final stages. 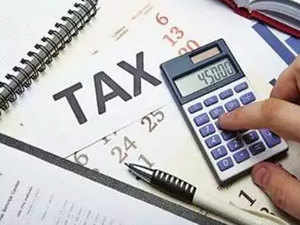 In the last four years, Finance Ministry has given several tax relief to the middle class including increasing the income tax exemption limit by 50000 and reduction in tax rates, that have amounted to relaxation over 4 lakh rupees per person. Modi in his bid for re-election is using various strategies to attract voters like 10% reservation for upper class citizens who earn less than 8 lakh rupees per year passed by the cabinet yesterday and the income tax relief likely in the budget could be crucial to bring back middle class to vote for him after they resented moves like demonetisation. In Video: Will the interim budget give a boost to the middle class?